When I was in college, I had a big problem with car maintenance — mainly, I didn't do much of it. As a result, I burned through cars like there were plenty more coming off the assembly line with my name on it. That wasn't the case, of course, which meant that I had to hit up my parents and grandparents regularly for money to resolve my automotive neglect. When I bought my first new vehicle with my own hard-earned money a couple years after graduation, however, you can bet I took care of that baby. But while I was keen to take it in for regular oil changes, I still wasn't exactly sure of the timeline for other issues. You probably have it in your head that your car needs its oil changed every three months or 3,000 miles — whichever comes first. That used to be standard practice back in the day, but most cars can go at least 5,000 to 7,500 miles before having to pull into a Jiffy Lube. You can drive even longer if you have a modern car that runs on synthetic oil, which requires an oil change every 10,000 miles. The cost of the synthetic oil change is a bit more than a regular oil change on the front end, but it'll conserve cash on the back end because your vehicle doesn't require the change as often. Consult your owner's manual to find out the type of motor oil your vehicle requires. You also can usually find coupons for oil changes in your junk mail, by the way. If it's about time to take your car in, keep an eye out or search your favorite oil change provider's website for promotions. As a preventive measure, you should replace your car's battery every three to four years. This is an area where it's better to be ahead of the game so you're not stuck in a mall parking lot with a dead-as-a-doornail battery because you sucked every last bit of juice out of it. Having AAA or another on-demand car maintenance service will help you get out of that bind — they'll come to you wherever you're broke down — but you'll pay more for the replacement battery, plus service, than if you proactively replaced it with a battery from a discount big-box store that carries automotive batteries, like Sears or Walmart. If you're careful enough, you can avoid the service fee altogether by changing the battery yourself. "When you're ready to tackle this task, you can replace the battery at home with a wrench kit, being sure to remove the black negative cable first when taking out the old battery and replacing the negative cable last once you have installed the new battery," says Richard Reina, auto expert and product training director at CARiD.com. "Be careful when switching cables as a mistake could lead to a short circuit." It's best to check your brake pad thickness every 10,000 miles, but look out for excess wear and tear that will depend on external factors, such as frequent use and driving style. "Your pads should never drop below 2 to 3 mm in thickness," Reina says. "DIY brake pad maintenance is simple and quick, requiring only a [lug nut] wrench, some [other] basic wrenches, pliers, a jack, and a set of jack stands." Personally, I'm not confident enough to start poking around the brakes. If you feel similarly, it's best to take this issue to the professionals. Most of us know about the importance of regular oil changes, but what about transmission fluid? People seem to underestimate — or are completely unaware of — the importance of changing transmission fluid. Changing transmission fluid allows your car to operate more smoothly and helps it to last longer. Change your transmission fluid every 30,000 miles, or once every two years. Tire pressure is the unsung hero of car maintenance. It's inexpensive yet incredibly valuable. It helps improve gas mileage and it's integral to maximizing the life of your tires. "Tire pressure can fluctuate with the temperature, so it's smart to carry around a pressure gauge in your vehicle just in case," says Joshua Lombardo-Bottema, CEO of GoWrench Auto, a mobile mechanic service. "Remember, your tire's ideal pressure is written in the owner's manual, not the tire wall. The number written on the side of the tire describes that particular tire's maximum pressure, which may not be ideal." A good rule of thumb, according to one of Los Angeles' top mechanics Charbel Radi of Full Service Automotive in Hollywood, is to check your tire pressure with the change of seasons. I was the king of overheating my jalopies when I didn't know any better. Smoke everywhere while I'm on the phone with my dad telling him I did it again. I usually didn't have any water in the car with me, so one time he told me to pee on the radiator to cool it down, but I prefer this advice from Bridgestone. "Just as motor oil has vital engine performance additives, coolant has additives that prevent boiling, freezing, and corrosion," explains Jamie Bullis, lead technician at Firestone Complete Auto Care in Minnetonka, Minn. "When these additives are depleted, contaminants and debris can begin to build up on your vehicle's radiator, affecting its performance. Basically, coolant fluid is a warm blanket in the winter and a misting fan in the summer. Radiator repair and maintenance is essential to the health of your engine and your vehicle." The traditional timeline of an annual tuneup is not always necessary with modern vehicles since they're programmed with electronic controls that will notify drivers when maintenance is necessary. If you have an older car, it may be in your best interest to follow the once-a-year rule, but don't let the mechanic take you for a "ride." "Some professionals will try to push service beyond what is recommended by the manufacturer, which should be an immediate red flag," says Reina. "Instead of focusing on a yearly tuneup, base this schedule on mileage and your manufacturer's suggestions. For example, modern spark plugs should last about 100,000 miles on average." 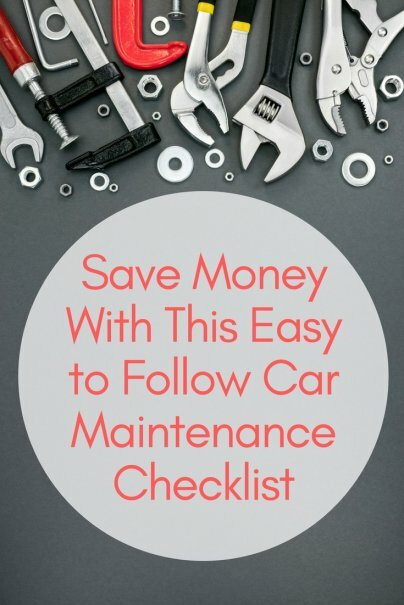 The Car Coach, Lauren Fix, who provides up-to-the-minute automotive information and car and product reviews on her website, says you can save hundreds of dollars by cleaning your fuel system. "It can restore and improve fuel economy, increase horsepower, reduce deposit-related engine knocking and pinging, and it's a superior corrosion and oxidation inhibitor. A fuel system cleaner and stabilizer for all gasoline and diesel vehicles will save you money and time at the mechanic." This doesn't take much effort, either. Just add a premium formula fuel system cleaner to your gas tank, according to the directions. We worry about the major parts of our vehicles when it comes to maintenance, but there are dozens of little things that need TLC, too. "Damaged wiper blades, tires, hoses, and belts can both leave you on the side of the road and with a large maintenance bill," Fix warns. "Windshield wiper blades should be replaced every six months. In winter, use a beam wiper blade or winter blades." Headlights are an often-overlooked safety component, but they're the first line of defense to avoid the hazards associated with nighttime driving. In fact, a survey conducted by Sylvania Automotive found that more than one third (34 percent) of drivers have never changed their headlights, although the majority of respondents (83 percent) agree that better down-road performing headlights are definitely connected to increased vehicle safety. Every second counts when reacting to a situation on the road — the farther down the road the driver can see the obstacle or oncoming vehicle, the quicker the ability to react. Check out these video tips on headlight maintenance from Sylvania to keep you and your family safe when driving at night. There are several pre-emptive measures you can take to best prepare your car for the harsh conditions of winter. For instance, you want to ensure that your battery and connections are in good condition, defrosters are in working order, tires are properly inflated (underinflated tires can mean disaster on icy roads), and that you carry a survival kit in your vehicle in case you're stuck in snow or ice without immediate rescue. Bullis adds, "When driving in snow and ice, you may use a lot of washer fluid in an effort to keep your windshield clean. In order to properly winterize your car, maintain a nearly full washer fluid reservoir and consider keeping a spare bottle or two in the trunk."